People generally take up a health insurance policy that would help to cover their medical expenses in dire situations. In order to apply for such an insurance policy or to raise a claim for it, a certain type of form needs to be filled in and submitted to the insurance firm. This form is known as the Health Forms. The applicant is required to fill in all the relevant details in the form. 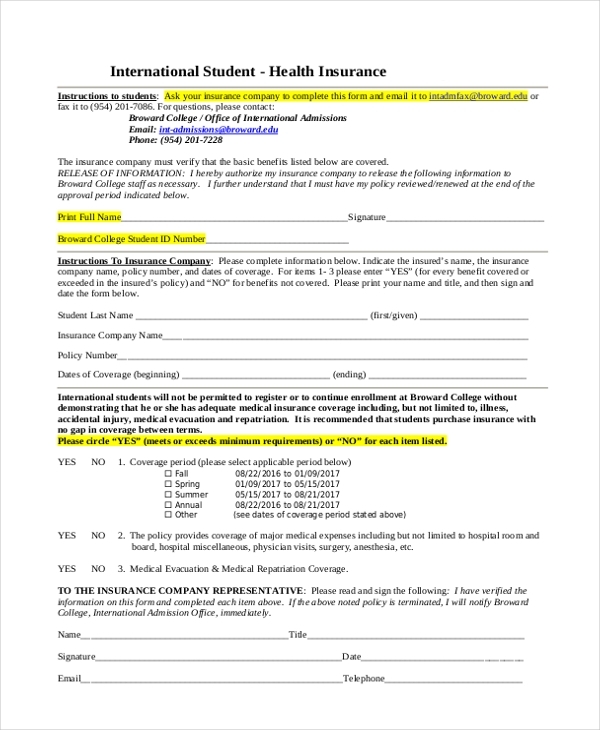 An insurance company uses this form to enable an insurance policy holder to raise a claim against his policy for the medical expenses rendered by him. This healthcare insurance claim form comes is handy to claim an amount against a health insurance policy. The claimant is required to fill in the form with relevant details and furnish all the bills. 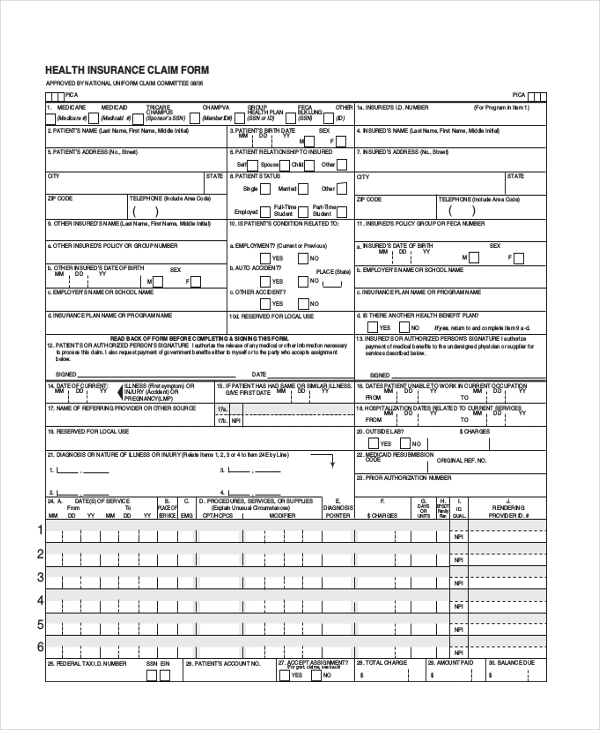 An employee working with an insurance firm makes use of this form to claim the commission due to roping him in new health insurance policyholders for the firm. 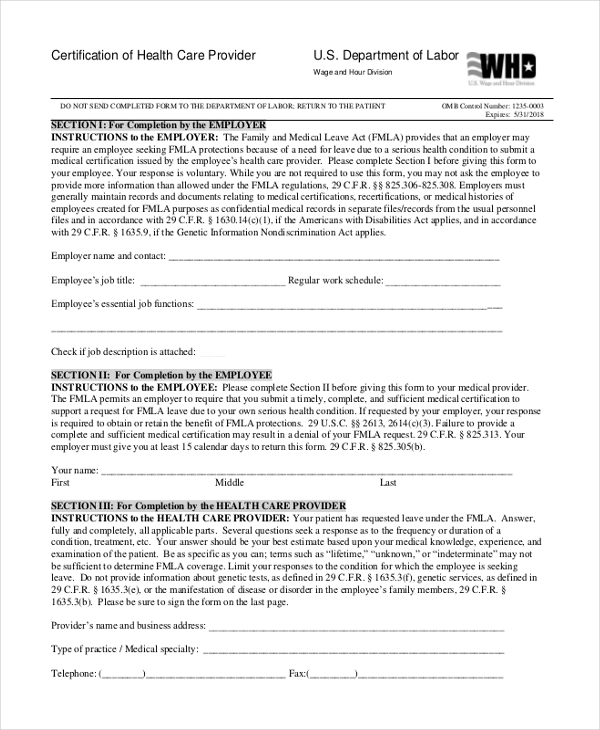 This form is used by an organization to enable their patrons to waive off the premium against a health insurance policy offered to him by the organization. When a person signs up for a health insurance policy, the company or the insurance agent presents him a bill that elaborates the policy features and premium paid. A health insurance billing form is used for this purpose. Sometimes, for a particular job a person is required to present the employer with a certificate which indicates that he has a valid health insurance policy. In such circumstances, the insurance company uses this form to issue a certificate. 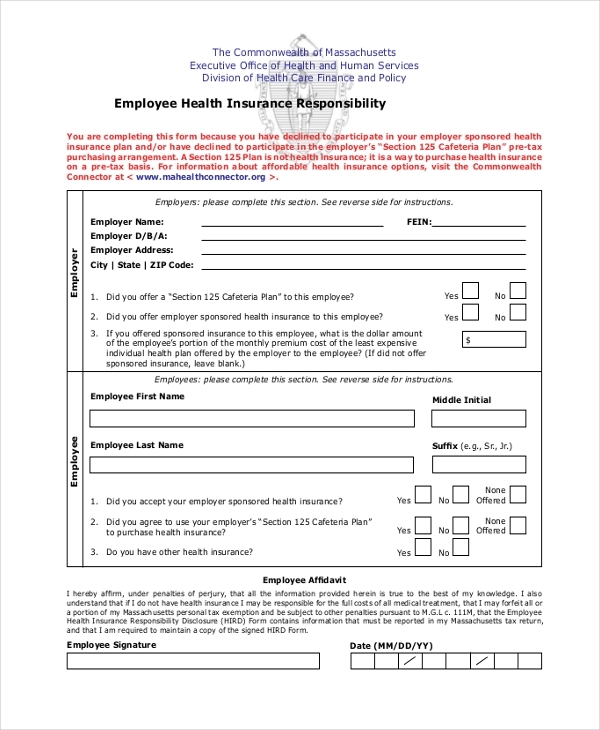 When a business organization offers group health insurance to its employees, the insurance company is responsible for this task and they use this form to get all the employee details and other relevant information. 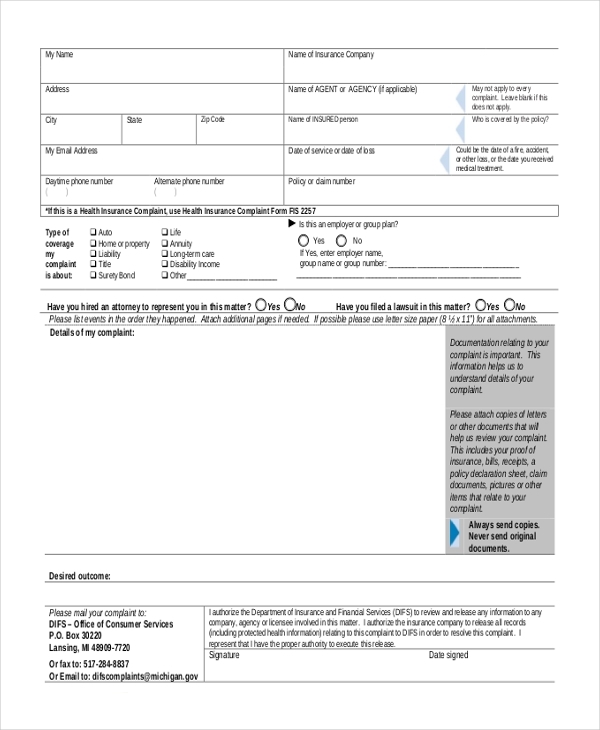 When a person intends to sign up for a health insurance policy, the insurance company expects him to fill up this form with his personal and medical details. Educational institutions expect their students to hold a health insurance. 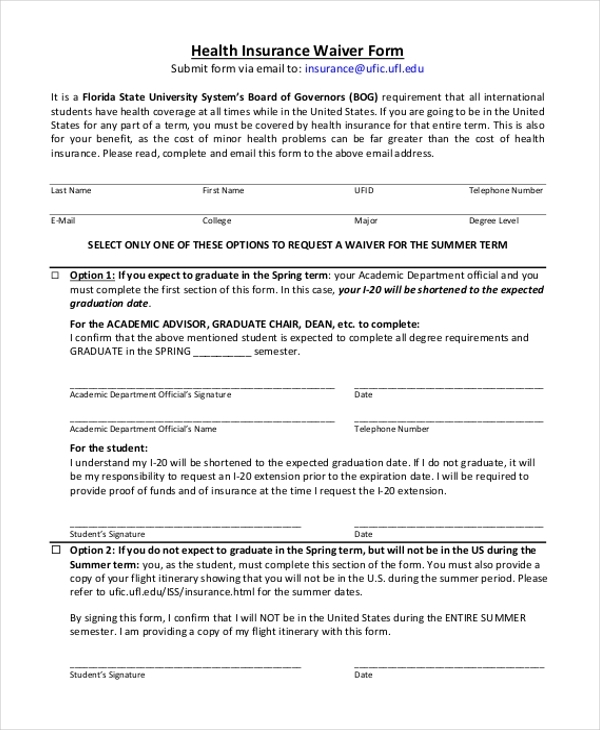 They use this form to get all the details of this insurance from the student as well as the insurance company. What are the Benefits of Using Health Insurance Forms? What things should you keep in Mind when Designing a Health Insurance Form? Leave out enough space for a segment for the insurance official to add in his comments You can also see Health Risk Assessment Forms. 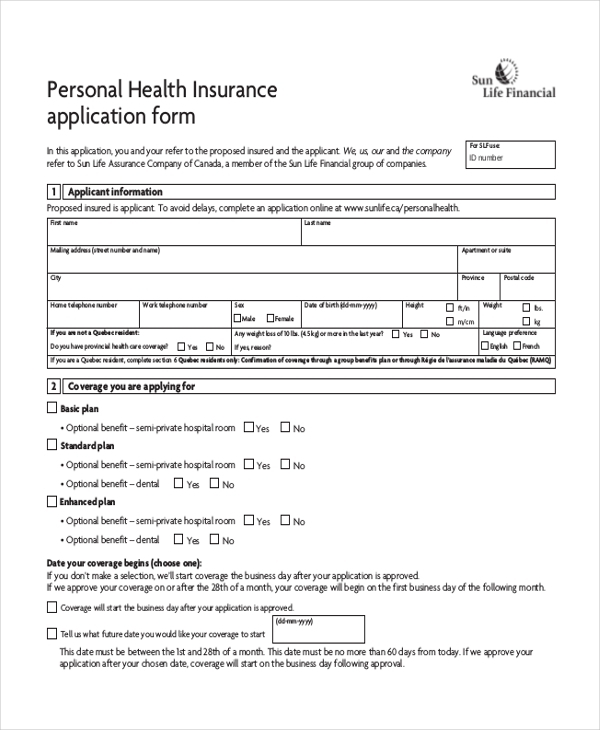 Not sure how to design a health insurance form? Fret not! 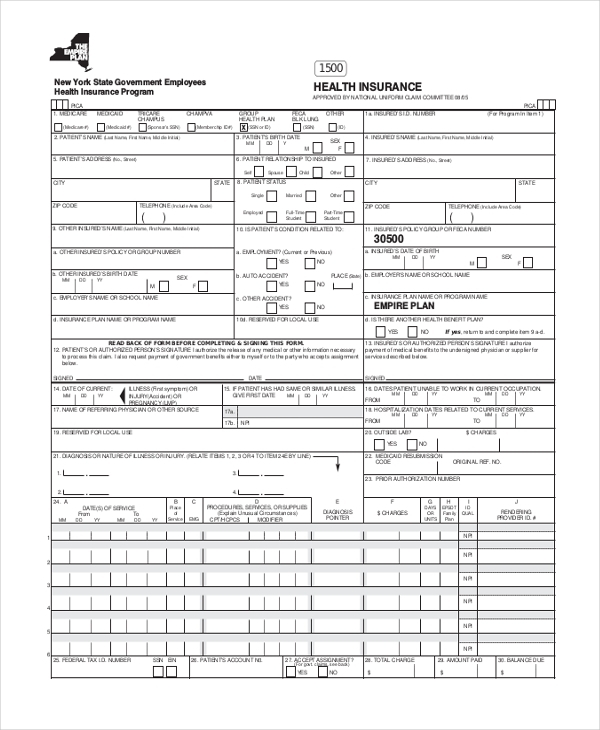 Just take a look at our wide range of health insurance forms. These are available in PDF format and can be easily downloaded. Designed by experts, these have a very professional look. You can further make changes to these forms to personalize them. 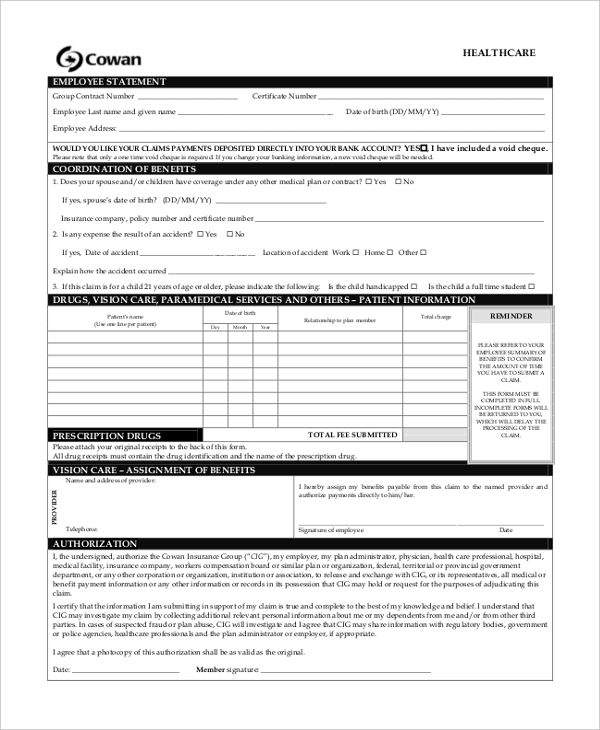 You may also see Health Certificate Forms.